The DualShock 4’s light bar is a neat thing. 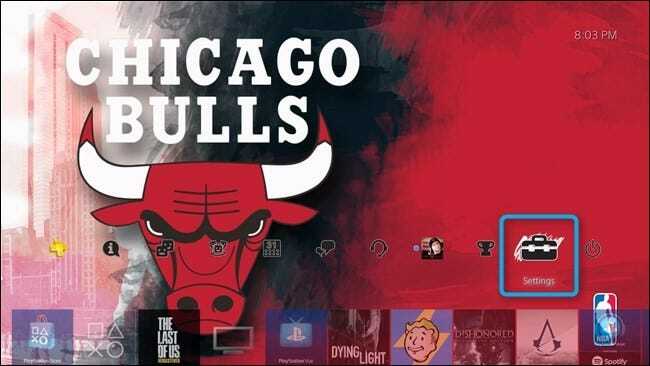 It works with many games to mimic what’s happening on the screen—in The Last of Us, for example, it will change colors as your health degrades, and turn red as you die. It’s a little thing, but it’s cool. 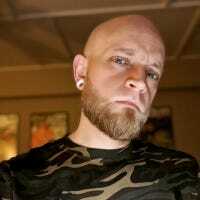 The downside is that it’s also a battery hog, causing the controller to die much quicker than most of us would like. Thankfully, you can dim it. 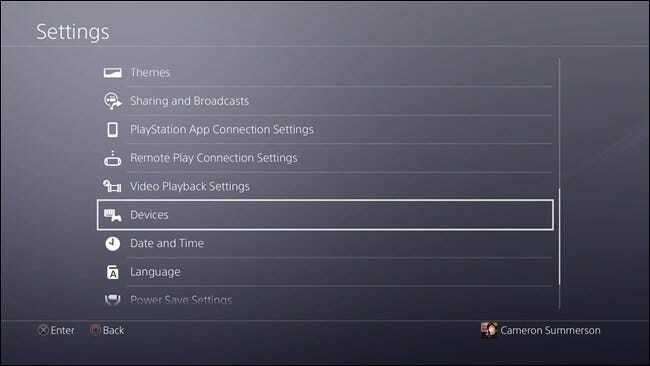 To get started, head into your PlayStation’s Settings menu. This is denoted by the little suitcase icon. From the main Settings screen, scroll down until you see “Devices” and jump in there. 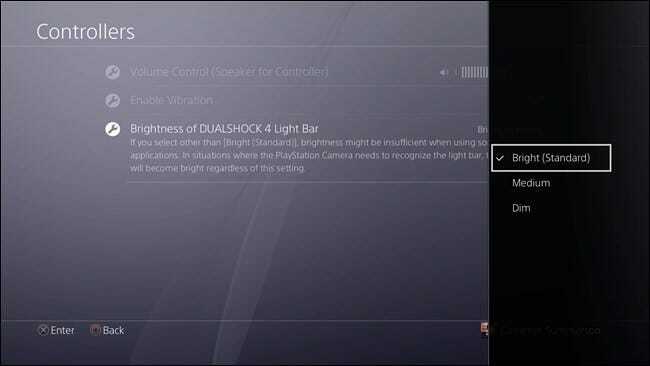 The last option in this menu is “Brightness of DUALSHOCK 4 Light Bar.” That’s wshat you’re looking for. It’s set to Bright by default, but there are two other options available: Medium and Dim. To get the most out of your battery, select “Dim,” which will drop the brightness level quite a bit—but it doesn’t really remove any of the functionality. If you like the default brightness and are just looking to squeeze a little more life before having to toss the controller on the charger, however, give Medium a go—it’s a good balance between brightness and battery life. To confirm your selection, just tap X.
That’s really all there is to it. 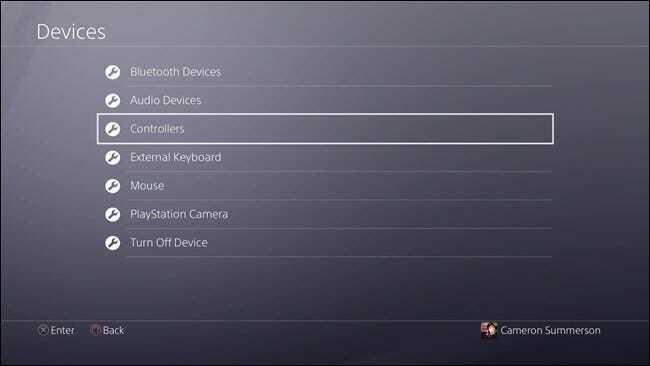 This will apply to the currently-connected controller, but it’s also profile-specific. 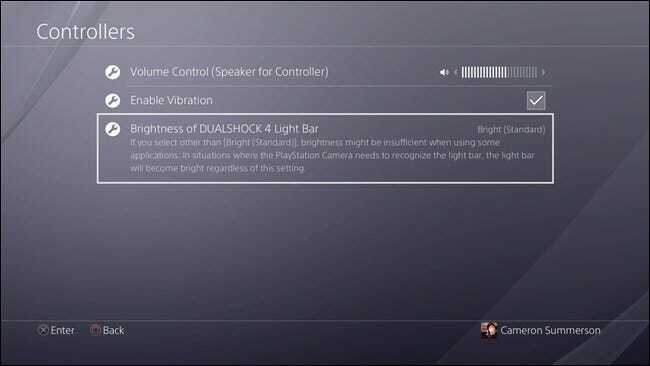 So if you like the controller dim, but someone else who shares your PS4 wants all the brightness all the time, there won’t be any issues.